Radical Collaboration (RC) is for anyone who works with people. The workshop cultivates the interpersonal and problem solving skills that are not included in most business school curriculum. ​It is particularly beneficial for leaders and managers responsible for creating more collaborative cultures. "A truly remarkable experience! Celeste is an accomplished facilitator who skillfully guides participants through an eye-opening journey that enhances emotional and social intelligence. The RC for Women workshop was a transformational experience that I would highly recommend to any woman who desires to be a more effective and collaborative leader." Kate Stewart, Ph.D. The RC workshop is an international program that has been presented to groups as diverse as the U.S. Environmental Protection Agency, Brio Toys of North America, the Mountain States Employers Association, The Boeing Leadership Center, Alcohol Tobacco and Firearms, National Cancer Institute and the U.S. Department of Defense. After years of successfully implementing the RC program around the world, we recognized a need to tailor a program specifically for women. 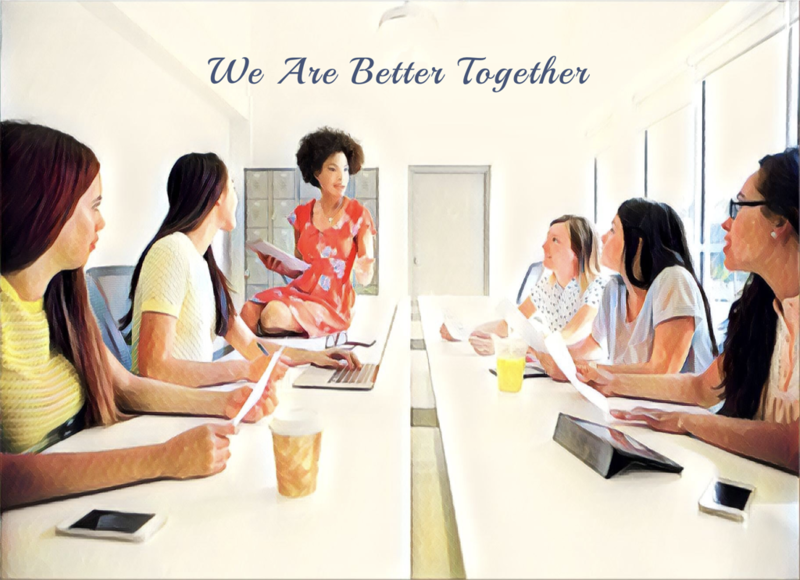 Radical Collaboration for Women is a program that brings them together as supportive allies in a place where they can safely develop their leadership skills and tackle topics critical to their success, both personally and professionally. We are truly better together. It's time to support one another in cultivating our best qualities as women and leaders. *Please note, all meals are vegetarian.